You do not build an 80-year history without having strong products and an even stronger commitment to excellence. The Armstrong Air 4SCU14LE is the perfect example of what happens when you set out to exceed expectations. It’s quiet. It’s energy efficient. MHT Technology Armstrong Air proprietary heat transfer system. 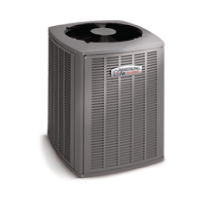 A specially designed fan shroud pulls air evenly throughout the air conditioner coil surface. 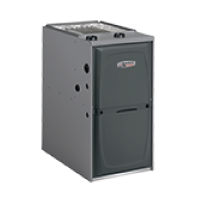 The coil features rifled tubing to enhance refrigerant flow&apos; while lanced coil fins increase surface contact between metal and air. All combine for maximum heat transfer and efficiency. Sound Reduction Inside every 4SCU14LE&apos; you will find a compressor that is wrapped in a heavy-duty&apos; sound-insulating blanket to reduce operating noise. So you will enjoy peace and quiet with your comfort. 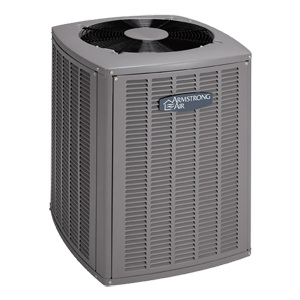 Integrated Compressor Protection High- and low-pressure switches give additional reliability to each Armstrong Air cooling unit. 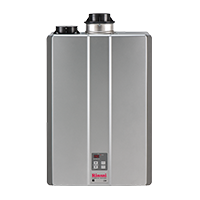 The high-pressure switch prevents operation if refrigerant pressures exceed safe levels&apos; protecting the compressor. 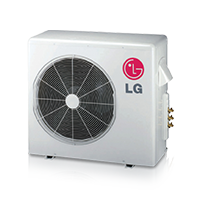 If your unit does not have enough refrigerant&apos; the low-pressure switch prevents the unit from drawing in moisture and other contaminants while operating. Single-Stage Scroll Compressor A time-proven design chosen for its consistent performance&apos; incredible durability and long operating life&apos; the single-stage scroll compressor works hard year after year. Sealed Contactor with Lugs Completely covers the contactor&apos; protecting it from debris and insects. Microban Protection On Matched Armstrong Air Indoor Coil. Drain pans are infused with an antimicrobial agent that destabilizes the membrane of microorganism cells&apos; disrupting the cellular function of odor-causing mold and bacteria so they can no longer grow or reproduce.